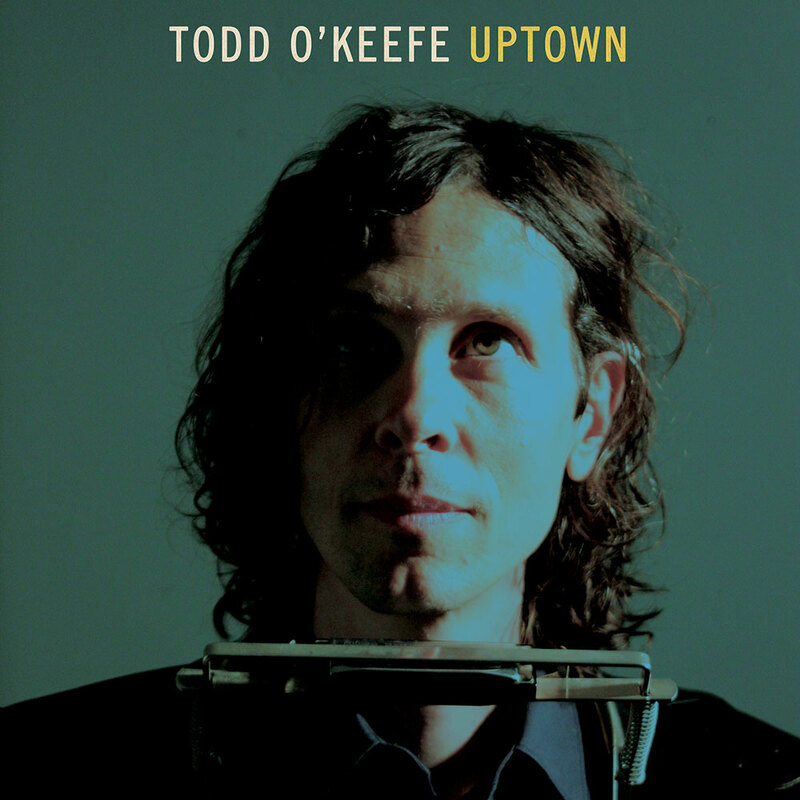 Uptown is the first solo release from Los Angeles (via Santa Barbara) singer-songwriter Todd O’Keefe. Todd was the bass player in LA power pop quartet The 88 and is an accomplished session musician. Before recording Uptown, O’Keefe has been a sought-after touring and session musician, playing with Jeff Beck, Black Francis, Ray Davies, The Posies, and many more. O’Keefe approached writing and recording Uptown with a stripped down and back-to-basics approach, akin to Bruce Springsteen’s Nebraska, or Plastic Ono Band by John Lennon. The songwriting is a mix of Brill Building pop and the Great American Songbook with songs that are lyrically inventive and melodically infectious. The songs are also short – very short. The entire album clocks in under 28 minutes. In fact, Uptown is recorded entirely in mono, reinforcing the lack of pretension of the songs. Uptown is Todd’s first solo release. Todd O’Keefe has recorded and performed with Jeff Beck, Ray Davies, Black Francis, Elvis Costello, The Posies, Social Distortion, and many more. Todd was previously in Los Angeles power pop quartet The 88, as well as the psychedelic rock trio The Green and Yellow TV.